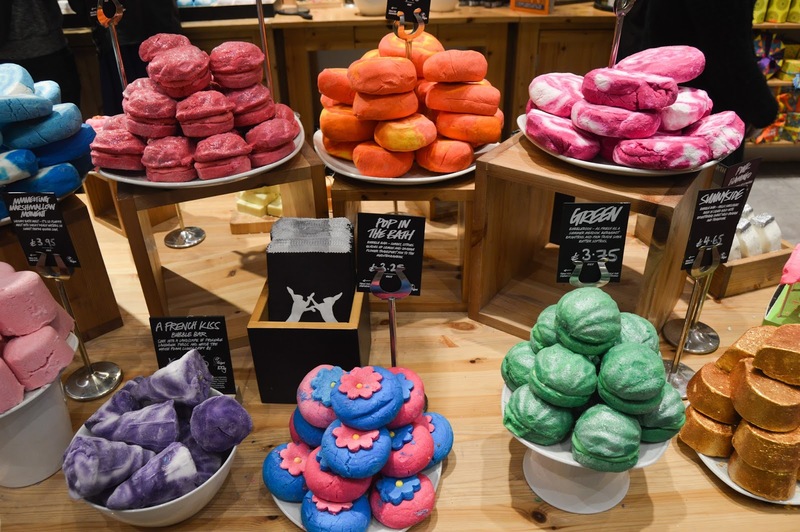 Lush is celebrating it's 20th anniversary this year by opening the Oxford Street store but also releasing a ton of new exciting products. So when I heard that some of the new releases would be rolled out to stores across the country I was pretty excited. 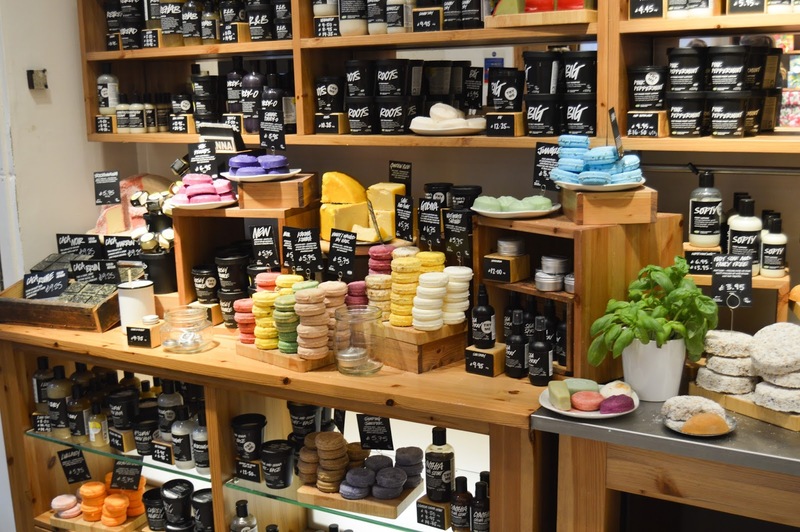 Chester Lush is my closest store, they have a lovely group of staff who are always happy to help. 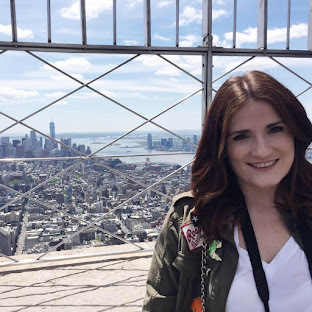 They recently invited me and some other Bloggers and Instagrammers to a VIP event. 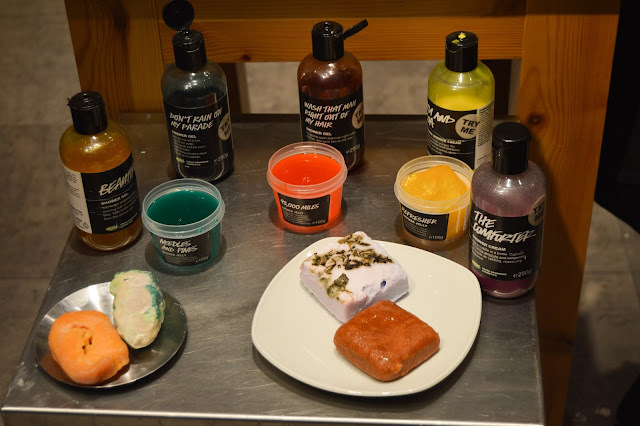 The team showed us their favourite new products and we even got the chance to make some of our own! 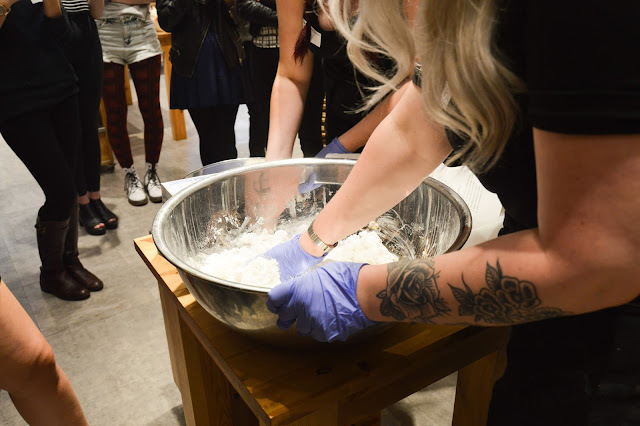 I love watching Lush demo their bath bombs in their huge silver bowls, I enjoyed watching the new ones fizz away. We saw Yoga, Frozen, The Experimenter and Intergalactic explode into colour. 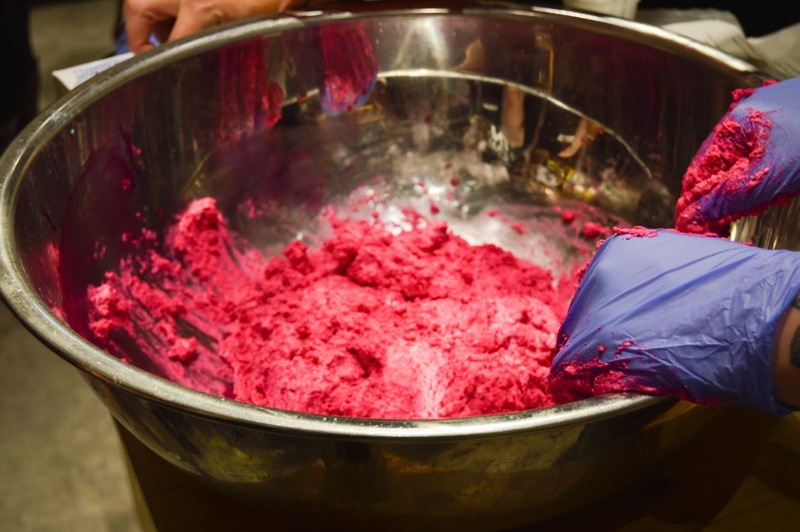 If you've ever been to a Lush Party, you will know that you can make your own bubble bars and bombs with the team. The girls mixed up huge batches of ingredients ready for us to shape and mould our own creations. The Comforter scent is one of my favourite scents from Lush so I'm really glad we got to make one. We twisted the mix into a cone spiral to create the famous swirl in the pink bubble bar. I'm really happy with how mine turned out and I can't wait to have a bath with it. 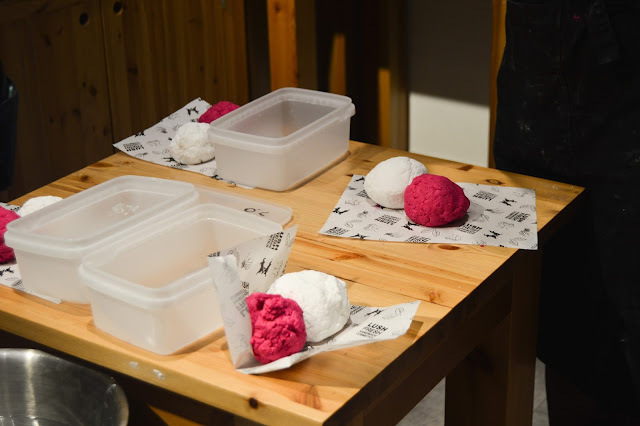 We also got the opportunity to mould our own Butterball Bath Bomb, which is one of my favourites; it's so soft and comforting in it's scent. Picking up two half circle moulds, we packed in the talc like ingredients and squished the two halves together to create the spherical shape they normally come in. I'm sorry I couldn't get photos of this, we had rubber gloves on and messy hands! We also had a talk on the new haircare products that have been added to their collection. I was most intrigued about the hot hair treatments, they are a solid cream on a stick, inspired by hot chocolate spoons. You mix this in a mug of hot water and apply the warm treatment as a deep conditioning treatment. The hair soap bars sounded really interesting too, as they are the equivalent of two or three bottles of normal shampoo. I'll be giving these a go soon. I don't always have time to take a bath, but I still like to use Lush products in the shower, so I was excited to hear about their new scents. I picked up Yuzu and Cocoa, which has a yummy chocolately scent and the Comforter shower gel to try. In the past the larger bottles have lasted me months, so they are well worth the money. 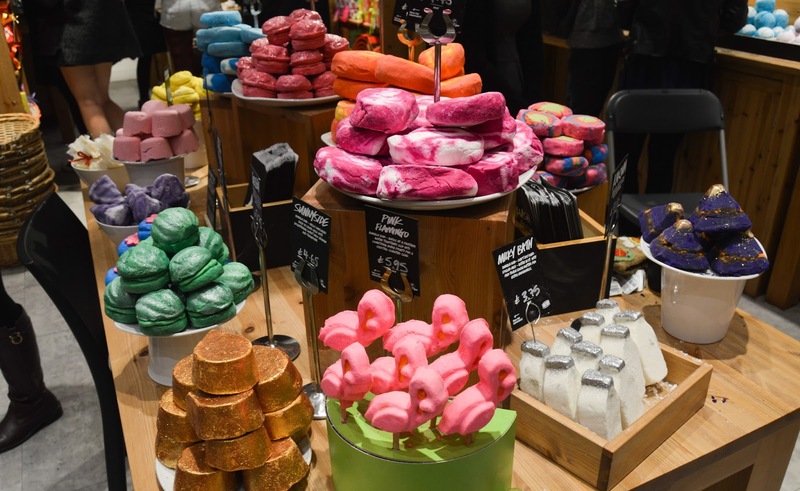 You may have also noticed that your favourite bubble bars have been redesigned, check out Rose Jam, Sunnyside and Karma when you are next in Lush. I can't thank the ladies at Chester Lush enough, I had a wonderful evening. 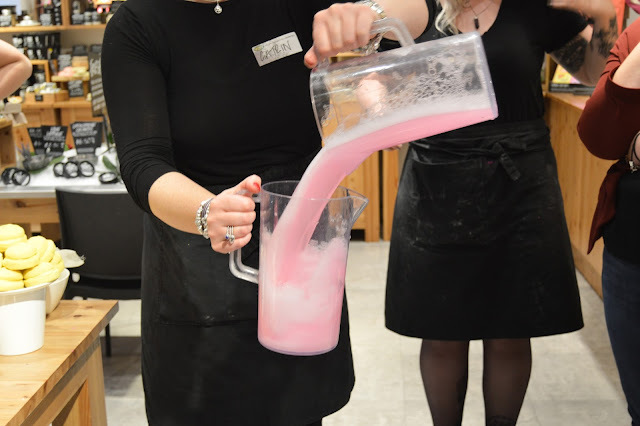 Every member of the team was so knowledgeable about the products and were so passionate about what they were showing. I picked up a few products from the new range so I'll be posting my haul very soon. What's favourite new product from Lush, leave me a comment below! 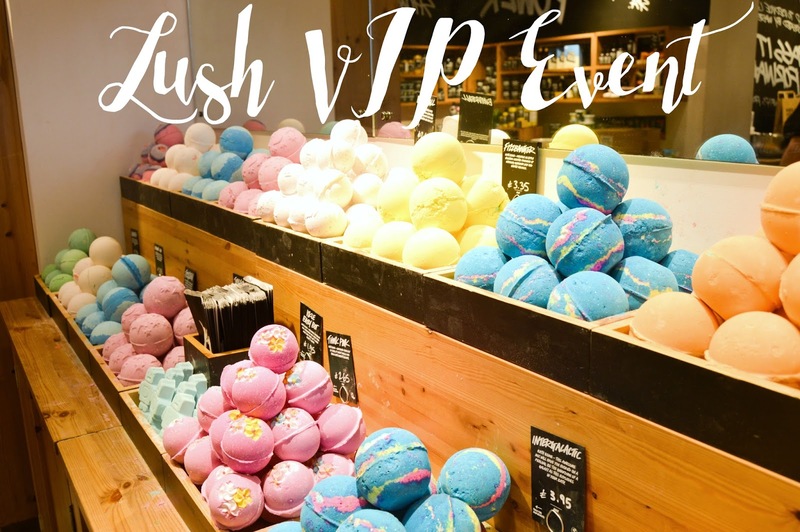 You can create one if you book one of their Lush parties. 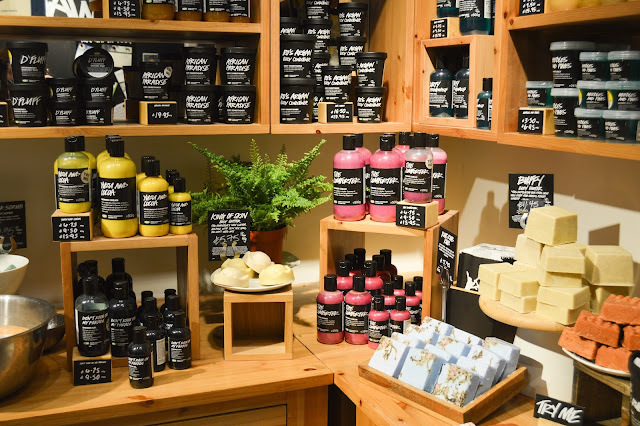 My local Lush in Chester often advertises wrokshops on their Instagram too! I'd love to go to the Oxford Street store, maybe one day in the future! I did, thank you Heather! Loving the sound of those hot hair treatments. Can't wait for more of the new products to make their way to my local store. They should be available in your local store by now, so treat yourself!